As of 2017, Perkins Loan Cancellation benefits continue to offer Teachers with one of the fastest ways to student loan forgiveness. The only downside of the Perkins Loan Forgiveness Program is that it’s only available to Teachers who took our Perkins Loans in the first place, which aren’t all that popular to begin with. However, if you did take out a Perkins Loan, and you’re either planning, or currently working in the field of teaching, then you need to look into these benefits because they’re probably your best avenue for receiving Teacher Student Loan Forgiveness. Alternatively, if you took our Stafford Loans to finance your higher education costs, then please visit our page about the Stafford Loan Forgiveness Program, which offers similar, equally excellent financial assistance. Perkins Loan Forgiveness is officially referred to as the “Teacher Loan Cancellation Program”, or even commonly as simply “Teacher Cancellation”. The good news is that regardless of what you call it, Perkins Loan Cancellation benefits will pay up to 100% of your qualifying Perkins Loans, as well as offering substantial deferment benefits along the way! And that’s what makes this program so unique – as of the time of this writing in 2016, I’m not aware of any other Federal Student Loan Forgiveness Programs that offer first Deferment, followed by Forgiveness. If you qualify for Perkins Loan Cancellation, then you’re in for some serious savings. Your eligibility for these benefits will be determined based on the official job description for your position, rather than on your official title. As an example, if you were called a “Teacher”, but didn’t actually do any teaching, then you won’t qualify for Perkins loan forgiveness. However, if you were called a “Helper” but you did spend your days teaching, then you would qualify for the program. Do I Qualify for Loan Deferment? If you satisfy the eligibility guidelines for Perkins loan cancellation benefits, then it’s likely that you’ll also qualify for the deferment portion of the program, as long as you’re actively serving as a qualified teacher. To find out if you qualify for loan deferment, please contact the school who holds your loan and ask them, because only they get to offer an official answer to that question. Who Counts as a Teacher? The Perkins loan repayment program was set up specifically for ‘teachers’, but the benefits actually do apply to a bit of a wider range of people than one might have thought. The definition of ‘teacher’ ends up applying to all sorts of different positions, and might even allow you to receive benefits if you don’t teach in a traditional classroom. Does that mean the school’s cafeteria lady can qualify for Perkins loan forgiveness benefits? Possibly! To find out if you qualify, you’ll have to speak with the school that holds your loan. The important thing to keep in mind is that you don’t necessarily have to be a certified or licensed teacher to receive these benefits. However, your employing school must consider you a ‘full-time professional’ based on the paperwork explaining your status – the same paperwork that determines your salary, tenure, retirement benefits and such. As long as that paperwork makes it look like you’re a ‘full-time professional’ in the field of teaching, you should qualify for Perkins loan cancellation. But what does that mean? Well… that’s open to interpretation. How Long Do You Have to Teach to Receive Benefits? Teacher loan cancellation benefits are actually quite easy to qualify for, once you’ve successfully qualified as an eligible teacher. Unlike the Stafford Loan Forgiveness Program, which requires five complete and consecutive years of qualifying teaching, Perkins loan forgiveness benefits begin to be awarded after completing only a single qualifying year of service! To qualify for teacher cancellation benefits under the Perkins program, you must teach full-time for a full academic year, but you won’t need to hit any given number of hours, or days per year, to satisfy this condition. As long as the school you work for counts you as having worked full-time for a full academic year (according to their own definitions of those terms), you’ll satisfy this requirement and be eligible to receive loan forgiveness benefits. There’s actually a bit of flexibility in the ‘full academic year’ requirement as well, in that you could combine two half-years of service that came from different academic years, and count them toward satisfying the one year requirement. There is a slight quirk to this rule though in that those two half-years must have been completed consecutively, excluding summer breaks, and must have fallen within a 12 month period of service. If you teach part-time at two or more schools, during the same time period and for a full academic year, then you could still qualify for Perkins loan forgiveness benefits, as long as the ranking official at one of the schools you taught for is willing to certify that you’ve taught full-time for a full academic year. If you teach at a private school that has established nonprofit status via the IRS, and if the school provides elementary or secondary education according to state laws, then you could count this service toward your requirement of teaching for one full academic year. Complete a year of teaching at such a school and you’ll have earned the right to receive Perkins loan cancellation benefits. If your state considers Preschools or Pre-K programs to be part of it’s elementary education program, then service at one of these facilities could qualify you for Perkins loan forgiveness. Keep in mind though that just because the school you teach at is listed on the low-income school directory doesn’t mean it will qualify you for eligibility. Most people who qualify for Perkins loan repayment benefits do so by pursuing this route to eligibility. If you taught at an eligible school (determined by your state’s education agency and that list of low-income schools), then you will qualify for teacher loan cancellation. Find out if the school you taught at (or are considering teaching at) will make you eligible to receive benefits by reviewing the Federal Government’s online database of low-income schools. Search for your school by year, and if you think your school has been missed and should be featured on the list, do not direct questions toward the Federal Department of Education, but instead speak with a contact from your state education agency (find a list of contact info here). It is possible that they’ve simply missed your school, and that the list could be amended based on your input! Please note that any elementary or secondary school operated by the Bureau of Indian Education (BIE) or on an Indian reservation by Indian tribal groups under contract with the BIE will qualify as a school serving low-income students. 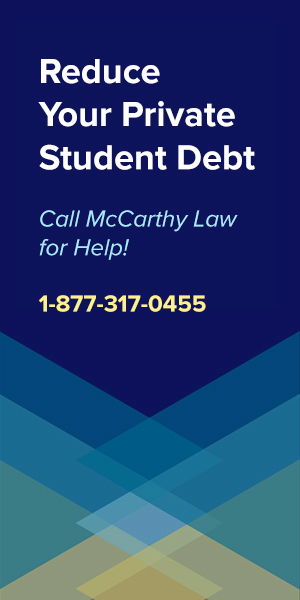 Please also note that if you’ve received some portion of loan cancellation for teaching at an eligible school which then is removed from the list of low-income schools, you can still receive additional loan forgiveness by remaining at that school in later years (as long as your service is uninterrupted). Also, under certain circumstances, whoever holds your Perkins loan may allow retroactive cancellation if you can prove that you should have qualified for it during a prior year, but they will not be able to refund any payments made during that period. This sounds confusing, and seems like it means that you cannot receive refunds for payments you’ve already made, but can only be credited for future payments. Teaching at an educational service agency may qualify you for Federal Perkins loan cancellation benefits if your service started on or after August 14th, 2008. Teaching in a special education setting is another way to qualify for teacher cancellation benefits. As long as you can get an official from your public school, nonprofit elementary or secondary school to certify that you completed full-time special education teaching for infants, toddlers, children, or youth with disabilities, you’ll be able to qualify for loan forgiveness benefits. This certification has to be made either on the official Federal Perkins loan deferment/cancellation form (find it here) or on an official letter from the school that bears the school’s seal or letterhead. You can’t simply have them type up a Word doc and send that in – it will be rejected! You must also be licensed, certified or registered by the related state education agency to provide special education services in the field that you’re teaching within, and the services that you provide must meet the definition of being part of the state’s educational curriculum for handicapped children. Many states have extreme shortages and excessive demand for teachers in specific subject areas, like science and mathematics. If you happen to teach a specific subject that has been deemed to have a shortage of teachers in your area, then you will qualify for Perkins loan cancellation benefits after you’ve completed the required one year of teaching service. To find out if your area has any subject shortages, you’ll need to check with the local school system or state education agency. If you’re teaching full-time in any of these areas, completing one year of service virtually guarantees that you will qualify for the teacher loan cancellation program. You will, however, have to satisfy the requirement of “teaching in a field of expertise”, which simply states that the majority of classes you teach must be in the field which qualifies for loan forgiveness benefits. To find a listing of nationwide teacher shortage areas in 2012, download the PDF or Word version of the document by following these links. How do I Apply for Teacher Loan Cancellation? Once you’ve determined that you should qualify for Perkins loan forgiveness, you’ll need to officially apply to the program in order to receive any benefits. 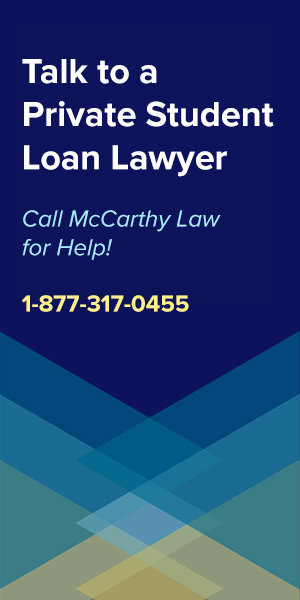 Unfortunately, you can’t do all of this entirely over the Internet, as you’ll need to request the forms from the school office that administers your Federal Perkins loan. When you request the appropriate documentation, that office will let you know exactly what you need to provide them to complete the application process, and you’ll have to satisfy their requirements, as if they deny your application, you can’t go anywhere else to appeal it. 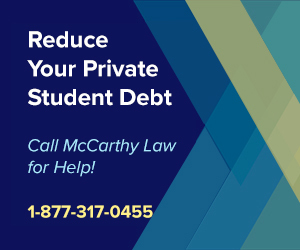 Keep in mind that you won’t be able to receive loan cancellation for teaching services performed before the date your loan money was disbursed, or during the enrollment period covered by the loan. How Much of My Loan Can Be Cancelled? If you satisfy all of the eligibility requirements for the Perkins loan cancellation program, you’ll be able to cancel up to 100% of your loan, though it won’t all happen right away. Keep in mind that your loan cancellation amounts will include the interest that accrued on your loan during the course of the year. Since we have not been able to find any additional information, we assume that each year after the fifth year of qualifying service continues to offer you 30% cancellation on the remaining value of your loan. If you have received any word to the contrary, please contact us as soon as possible so that we can update the information presented on this page. Are Direct Consolidation Loans Eligible for Cancellation? If you’ve consolidated a Perkins loan into a Direct Consolidation Loan, then you’ll have sacrificed your eligibility for receiving Teacher Cancellation benefits. If you have other questions about how Perkins Loan Cancellation works, please feel free to ask away in the comments section below. I’ll do my best to get you an answer within 24 hours. If you found the information on this page useful, then please help me out by sharing this site with your family and friends. The more people that visit this site, the more time I can spend writing up useful content like this and helping you save money. Thank you for visiting my site, and please be sure to come back soon! Do I have to wait until my current program for which I’m getting loans (masters) is complete before I can start getting loan forgiveness? I’ve been teaching special education for several years, so that requirement is met. Good question – and I’m not entirely sure. Try contacting the Federal Student Loan Information Center. Nurses should be able to use Perkins loans, yes. What if your loans have been consolidated? who would I go to for the forms? Speak to whoever services your loan (the people you pay your monthly payments to), or your company’s HR department, or the administrative people who handle financial aid at your school. I have been working in a public service field for 5 years. Can I retroactively claim the loan forgjveness? If so how far back could I claim? Check out the rules for the Public Service Loan Forgiveness Program and you’ll get a good idea of how it works. 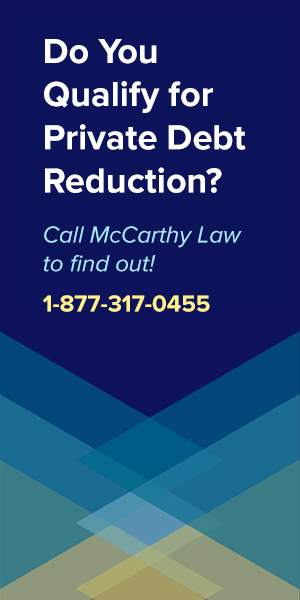 If you satisfy all the eligibility conditions, then yes, you could apply your previous work to the forgiveness benefit and qualify retroactively. 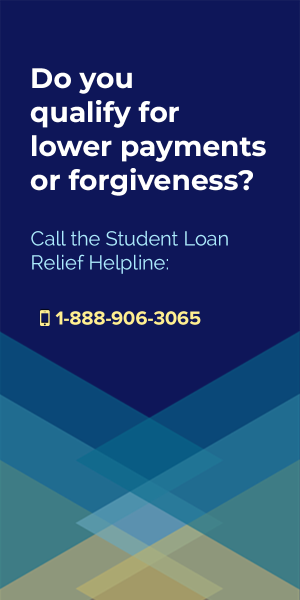 This assumes that you satisfied all the required conditions for the Federal Forgiveness Benefit though, including things like working full time at an eligible position, being enrolled in the right Student Loan Repayment Plan, etc. 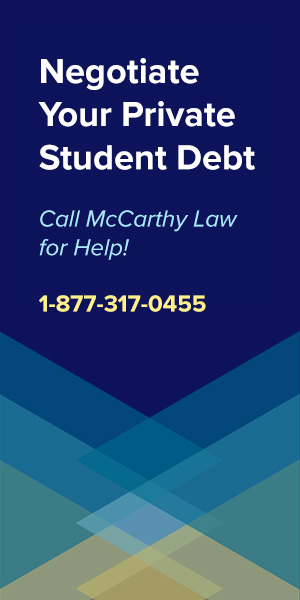 If your loans are Federal, I’d advise you to call the Student Loan Relief Helpline to ask them what you may qualify for. 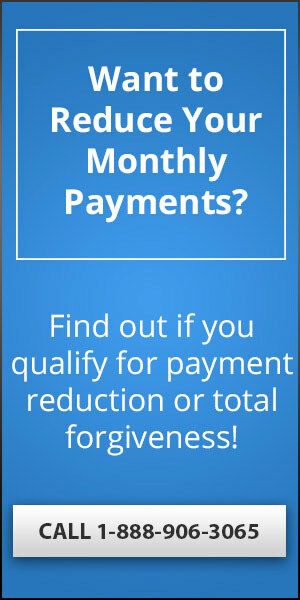 It’s possible that you could significantly reduce your monthly payments, or even qualify entirely for a forgiveness benefit. 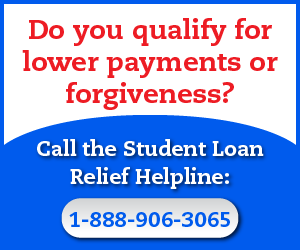 You can reach the Student Loan Relief Helpline here: 1-888-694-8235. I filled out the paperwork for loan cancellation during my first year of teaching. However this year I was not thinking and instead of filling out the “cancellation paperwork” I filled out the “deferment paperwork”. it made it there on time and was processed but because I am not in school I don’t get “deferment”. Do you know if there is any chance to reconcile this? I would hate to not qualify for the repayment process because of a form mistake? You may still be able to get credit for this past year anyway. Have you already resubmitted your paperwork to see if that would get you credit? I’d go immediately to whoever you’re submitting items to (not the lender if you can avoid it, because they may try to stonewall you) and see what advice they have for you. Thanks for this useful site. I wanted to point out that the reason why you could not find any information about what cancellation occurs after the 5th year is that if you cancel 15% of the loan principal after each of the first 2 years, then 20% of the principal after the 3rd and 4th years, and finally 30% of the principal after the 5th year, that would be 15% + 15% + 20% + 20% + 30% = 100%. after 5 years, the full original principal of the loan will have been cancelled. I was wondering if you ever found out about Katie’s question in this comment section? I am in the exact same boat as her, and not really sure where to find the answer. I’m in the spring of my 6th year of teaching and am filling out the documents for the first time. I’d like to know if I’m starting over as year 1 or if they will retroactively count my first five years. Thanks! I never heard back from her, so I don’t know, but I would still love to get an answer on this. 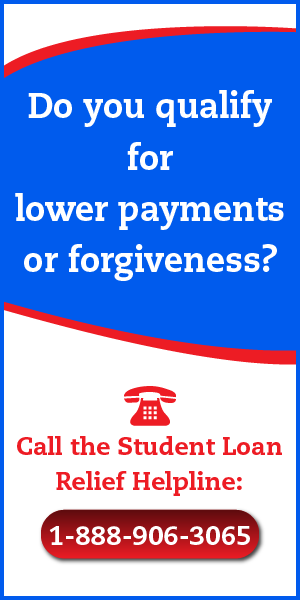 Why don’t you try contacting the Student Loan Ombudsman Group to see what they have to say? Let me know what you find out so that I can update this comment and let everyone else know. I still think you’ll be fine, and should be able to receive the full benefits all at once, but I don’t know for sure. Hi Tim! I have been teaching for almost eight years as a special education teacher and would qualify. I’m just wondering though, I consolidated all my loans about a year or so ago. Would they be able to see that a portion of my loans were Perkins and forgive them? Just wondering if it’s worth applying 🙂 thanks!! If you’ve consolidated Perkins loans with non-Perkins loans, then you will not be able to take advantage of the Perkins Cancellation Program. It’s definitely not worth your time to apply for Perkins Cancellation Benefits, because they’re going to turn you down for sure. Unfortunately, this is one of those special circumstances where a Direct Consolidation Loan required sacrificing some serious benefits, but it’s possible that you’re better off anyway having sacrificed the Cancellation program for the awesome advantages that come with Direct Loan Consolidation. For details on the official explanation, see here. Does online teacher count? Or do you actually have to be in the school to be forgiven for your loans? A teacher is someone who provides students direct classroom teaching, or classroom-type teaching in a nonclassroom setting, or educational services directly related to classroom teaching (for example, school librarian or guidance counselor). The one thing that could disqualify you is that you’re supposed to provide “direct and personal educational services to students”, and frankly I’m not sure how the Federal Government defines “direct” or “personal”. I would contact whoever services your loan to ask them for additional information. I have been looking at the cancelation process and do not know where to start. I have been teaching for 13 years, and I qualify for the cancelation. How and where do I get started? Glad to hear that you qualify for this exceptional benefit! At the bottom of this page there’s a section called “How do I Apply for Teacher Loan Cancellation?”, which has the details about what you’ll need to do. 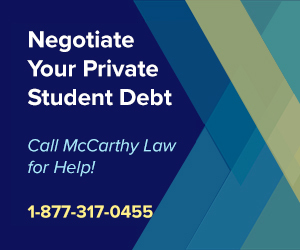 The good news is that it’s relatively easy – just contact the school office who is administering your Perkins loan, and they’ll provide you with the required documents. Every office handles this process slightly differently, so I can’t offer any more advice other than that, but it shouldn’t be too tough, and soon you’ll be debt free. Are there forgiveness plans for people who become disabled, and being unable to work, after getting the loans. This is a great question and it’s the first time I’ve received it. I’ve got good news too, because YES there is a discharge plan for people who become totally disabled. The program is called the Total and Permanent Disability (TPD) Discharge, and it is definitely worth your time to look into. So where do we begin the process? I don’t see a link to the paperwork or anything. Do we just go to the college we graduated from and ask for the forms? I am just looking into cancelling some of my loans. I have been teaching already for 5 years and would qualify for cancellation, but am just now filling out the paperwork. Do I have to start over at year one (15%), or will I be credited with the full 5 years of service and can potentially cancel the entire amount? This is a great question, and I’m honestly not sure about the answer here, but I would love to know what you find out as you move through the process. I’m not sure if they allow you to receive credit for more than one year’s worth of teaching at a time, or if you’ll end up needing to wait a year between chunks of cancellation. I believe you’ll be able to receive credit for each year of teaching that qualifies for the program, and I hope that you’ll be able to take the credit all at once. I’m almost certain that you won’t have to start over completely, since you can’t even apply for benefits until you’ve satisfied all the eligibility requirements, but the part I’m not sure about is whether or not you’ll get the full 5 years of benefits at once, or have to wait a year between ‘cashing in’ your experience. Please come back and let me know what you find out, as I can’t find a straight answer to this question anywhere on the Internet, and I would love to update this page with the right information. I’ll keep my fingers crossed for you. Good luck! Do I need to ask the university that initially gave me my loan for the paperwork? Yes – to apply for Perkins Loan Forgiveness, you’ll need to request the appropriate forms from the school office who administers your Perkins loan. If you call up the financial aid office, they should be able to direct you to the right person/paperwork. I’m having trouble paying off my Perkins loans and have been looking into the Teacher Loan Cancellation program, but the problem is that I already tried teaching and didn’t like it at all. Is there anything else I can do to qualify for loan forgiveness, or am I screwed? First – thanks for stopping by. And second, yes, you do have options! As you can see – the main qualification issue is that you’ve got to provide “educational services” of some sort RELATED to classroom teaching, which doesn’t mean you’ve got to be standing up in front of the class. For example, you could be a librarian, a guidance counselor, a school nurse, a gym class teacher or some other sort of administrator at a school that directly interacts with the students. You’ve got plenty of options here, so even if you absolute despised “teaching” itself, don’t give up. 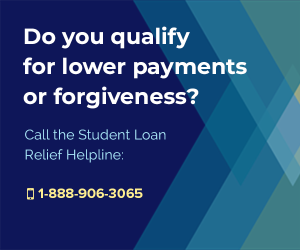 The hardest part about qualifying for Perkins loan forgiveness is actually having a Perkins loan – you’ve already got that part covered!